How clean is your deodorant? 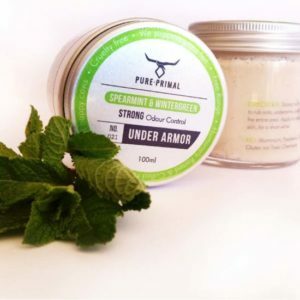 Lots of people have started to take a conscious decision in what they ingest…however, many people do not realise that your skin is the biggest organ in your body, therefore anything that is applied to the skin (such as deodorant), also enters the body. Common cosmetic products are made up of over 10,000 different chemical ingredients. Some of these are known or suspected carcinogens. One of the products, which both men an women use every day, is loaded with some of these products. This culprit is your deodorant! 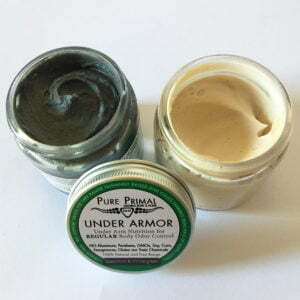 Aluminum is one of the main ingredients in antiperspirants and it’s primary function is to block your pores in order to prevent or reduce sweating. Aluminum exposure poses lots of dangerous health risks including Alzheimer’s disease, it interferes with your estrogen levels, and might even increase the risk of different types of cancer. This is a chemical used as a preservative and present in numerous beauty products on the market today. It is a very harmful additive. linked to hormonal imbalances in the body and may increase the risk of breast cancer and prostate cancer. Look out for the following on the labels – methyl, ethyl, propyl, benzyl and butyl. These additives are the product of ethoxylation (weakening of harsh chemical in the manufacturing process), which simultaneously produces carcinogens and dioxanes. Steareth-n is a compound known to cause cancer if it comes in contact with ethylene dioxide. It’s definitely an ingredient to avoid. Triclosan has been classified as a pesticide by the FDA. It’s used to kill bacteria in the manufacturing process, as well as when it comes in contact with your skin. It unfortunately kills both the good and harmful bacteria. When triclosan is combined with water it can also create a carcinogenic gas called chloroform. This substance can also irritate your skin and cause contact dermatitis. Propylene glycol can be harmful at as small a percentage as 2%, yet deodorants generally have a high dose of 50% propylene glycol. It is considered a neurotoxin. If used everyday, this chemical can cause damage to your central nervous system, heart and liver, and may be responsible for delayed allergic reactions. It is also shown to irritate skin, especially if you have sensitive skin. Some artificial colors and bleaches in deodorants can cause serious allergic reactions, cause organ toxicity and are also known carcinogens. It is claimed that if talc contains asbestiform fibers, it may also increase the risk for cancer. Some products may market themselves as “natural”, “clean”, “pure”, etc. Don’t be fooled by marketing tactics. Always read labels of what you are ingesting as well as what you are putting on your skin. You can also check out the Environmental Working Group’s (EWG) Skin Deep Database to look up these ingredients and other chemicals to check for safety and health precautions. 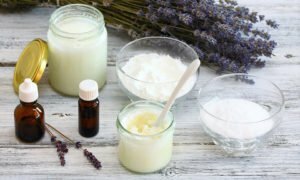 Read here for a DIY recipe as well as some tips on reducing body odour. Not everybody has the time for making their own products. 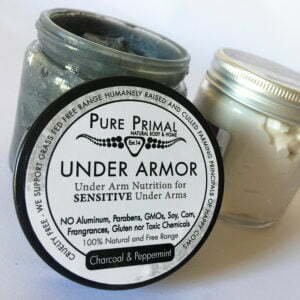 Invest in Health luckily stocks an amazing clean deodorant from Pure Primal. This brand is clean, tried and tested, and most users LOVE them! Lots of different scents to satisfy everyone’s needs and available in Strong, Regular and Sensitive. Get yours now!